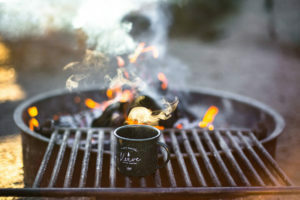 Now is the time of year that it makes the most sense to have a fire pit, and even if it’s already starting to get cold in your neck of the woods, that doesn’t mean it’s too late. We’ve covered the best wood burning kits, but this type of burning wood is totally different, and it can make or break the vibes you’re creating for your backyard. 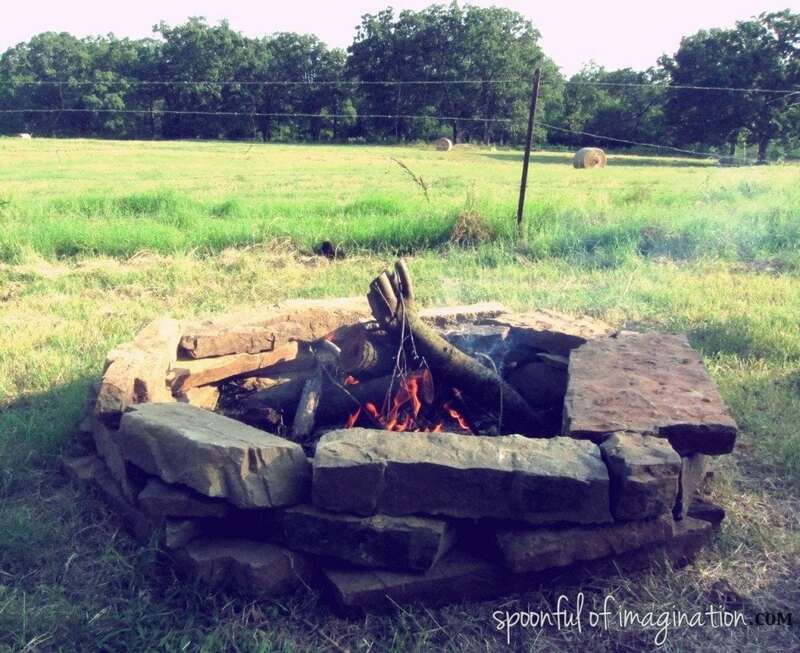 With these DIY fire pit ideas, you can easily whip up something in a day or weekend or if you’re the type to really spread things out, a month. But don’t wait too long. Winter and it’s heartless icy attitude will be here before you know it. 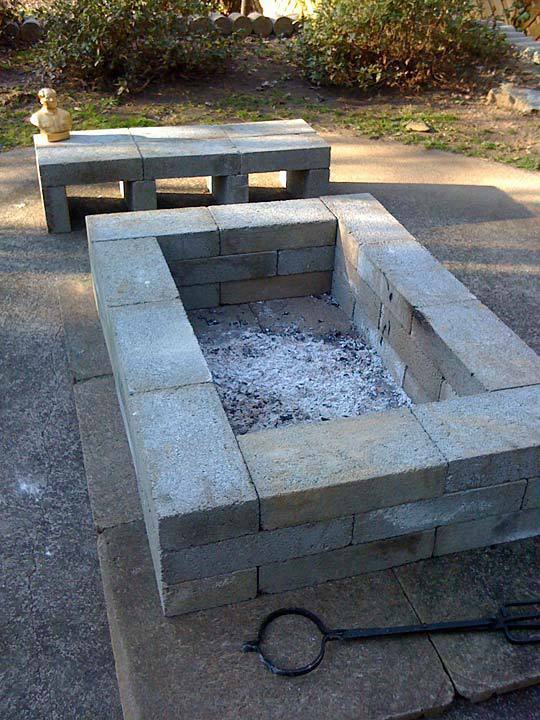 Here are 30 DIY backyard fire pits that you can use to make your own awesome fire pit for this fall and winter, and many more seasons to come. Chairs? Check. Fire Pit? Oh Yeah. This setup makes us want to start a fire, toss off our shoes and dig our toes in the rocks, even if they are cold. Because the fire will be warm. 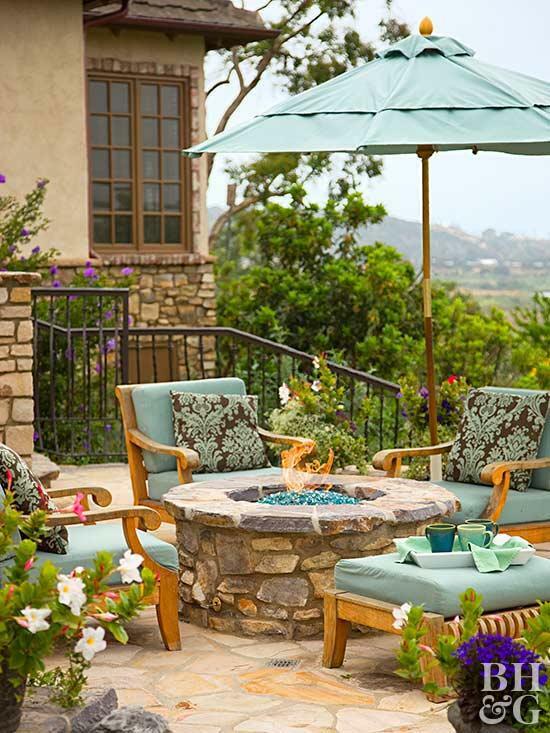 We love this fire pit area, and the chairs in the rocks make for a comfortable, relaxing space around the stone fire pit. 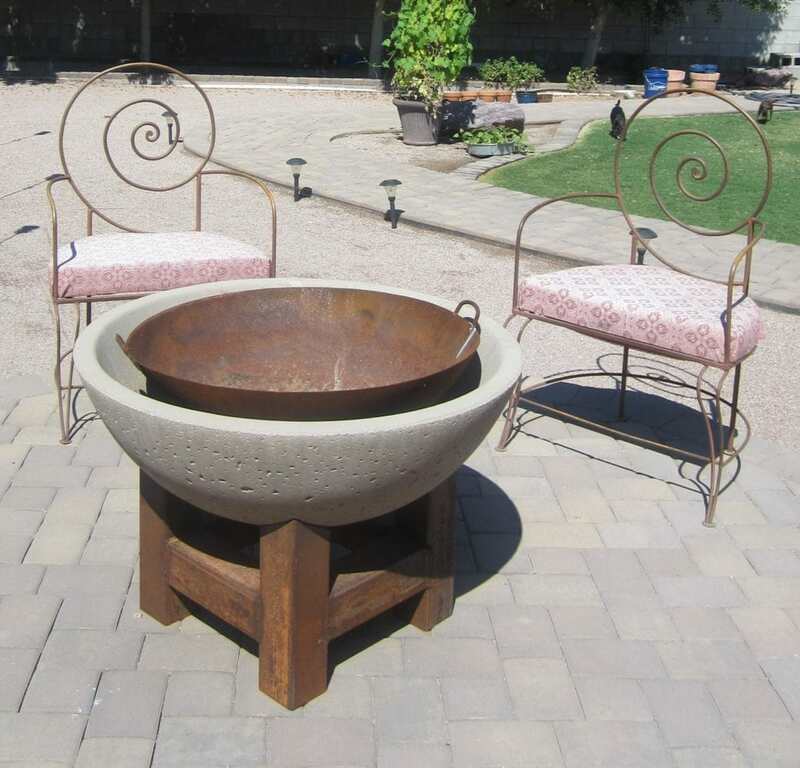 If this fire pit looks sort of medieval to you, join the club. We like the deep, five-layer stone wall that allows you to build a nice sized fire without worrying about it climbing out and taking over your yard. 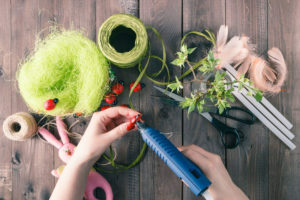 Don’t have time to build it yourself? Check out this bad boy from Landmann, which features all your favorite night-time things, and by that we mean stars and moons. 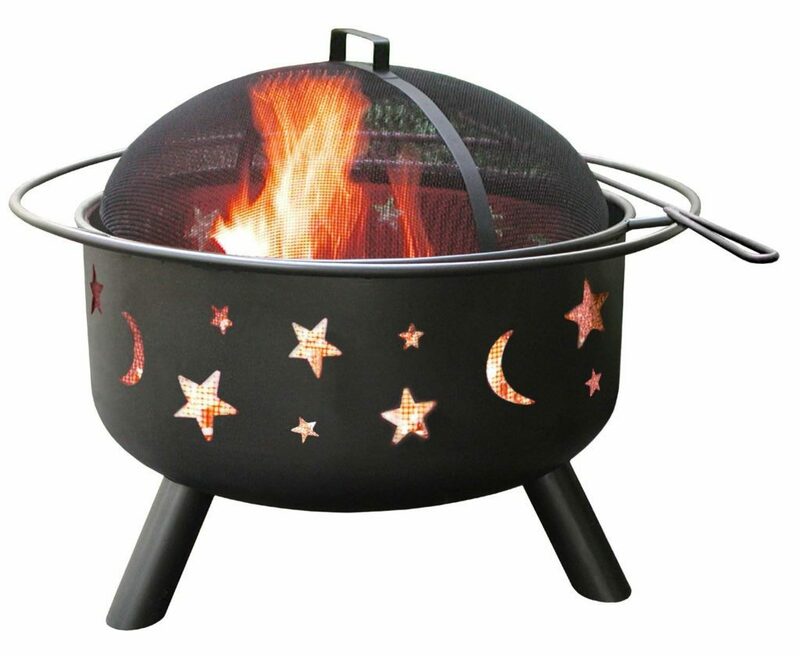 The trippy thing is when this thing gets going at night, the fire pit and the sky become one and it’s really hard to tell up from down, reality from dreams, etc. It’s whimsical, durable and ready to be the centerpiece of all your drunk ramblings. For fans of right-degree angles, this bad boy would work great. It’s low and with so much space in the fire, you can have a wide one that offers heat for everyone. We also really like the top layer of stone that’s different than the concrete below. 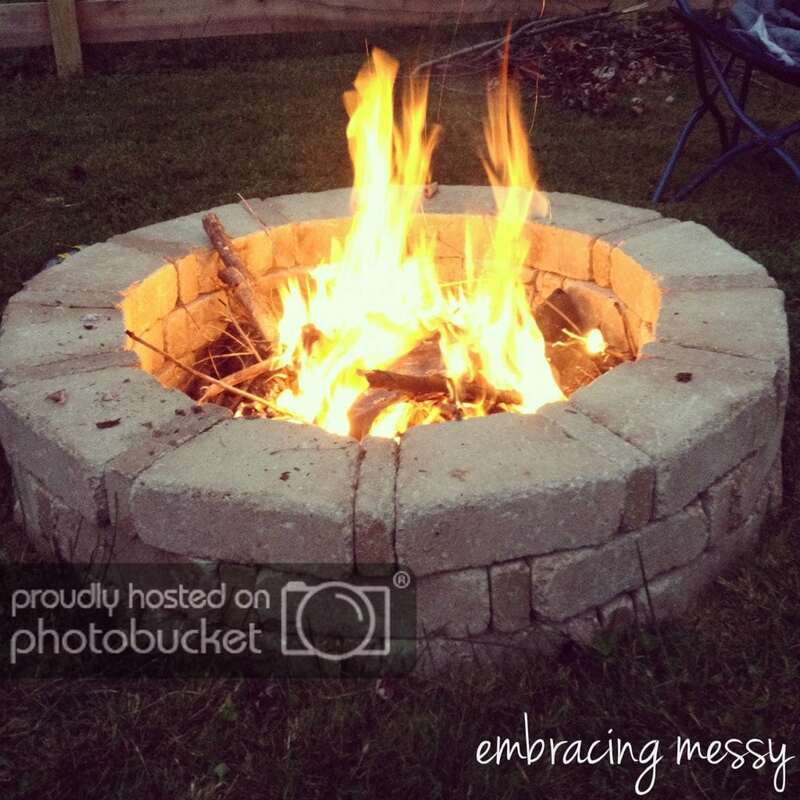 Perhaps our favorite DIY fire pit here, this beauty from embracing messy is what we plan on making for our yard. We love the circular shape, the medium depth, but mostly we love how the stone is broken up with thinner stones in between. 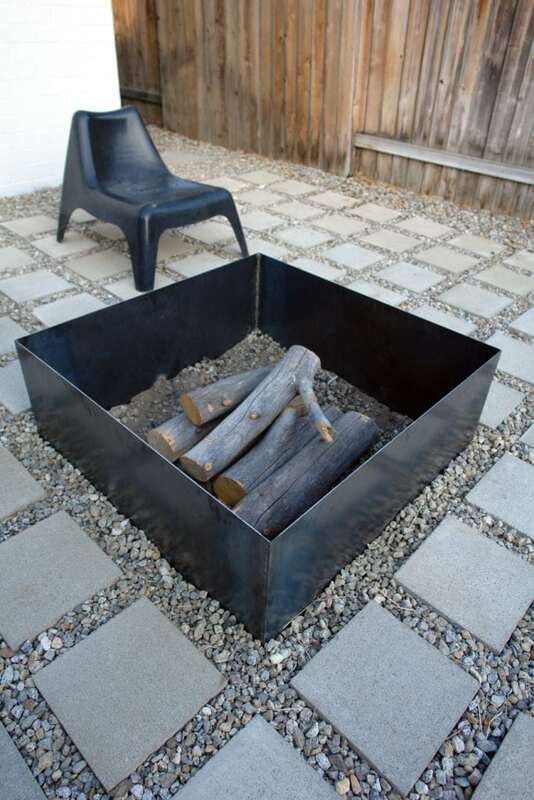 It gives this fire pit a great look and depth that some of the other ones are lacking (though we like those too, for other reasons). We would never have thought of this on our own, but then again we are no geniuses. 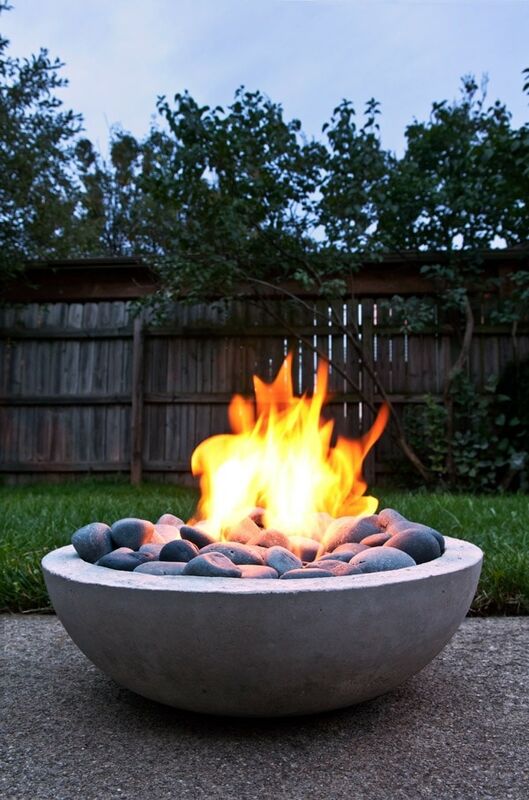 This fire pit uses your basic metal fire pit that you can buy at most home improvement stores. 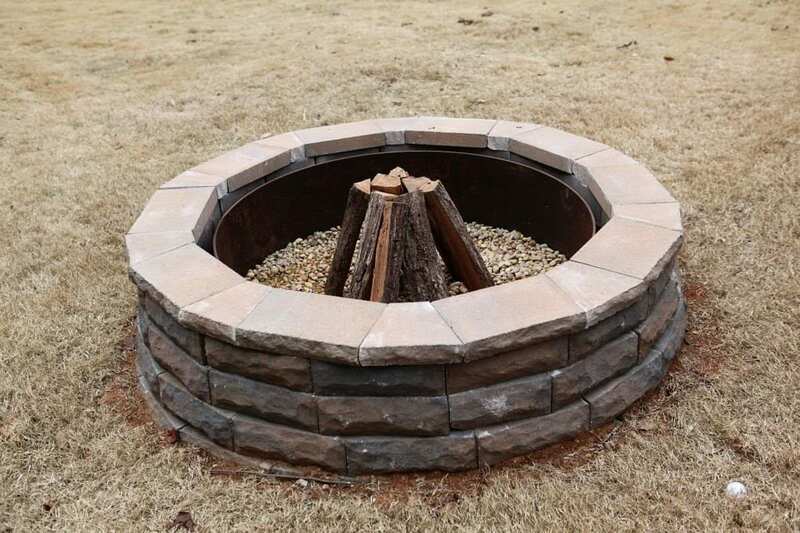 But instead of using the usually low and sometimes unstable metal frames, you can place it on a stone fire pit like this. 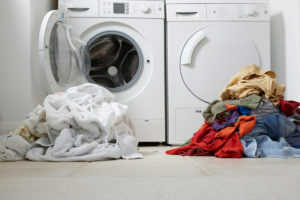 It looks fuller, gives you more to work with and is a combination of DIY and home-bought things. Neat. 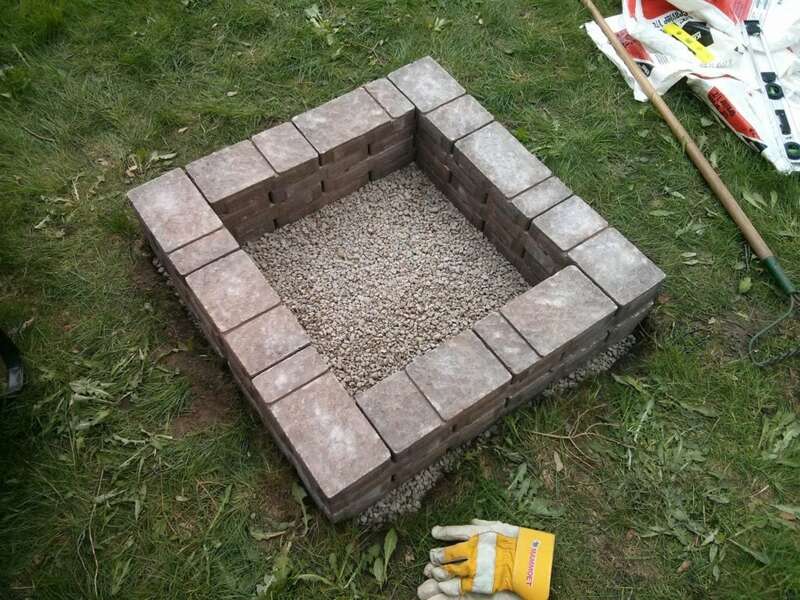 Although this fire pit requires more stonework – making sure everything fits together nice and neat – the end result is well worth it. The stone looks wonderful against the light concrete, and it has so much room in the fire pit that you could almost build yourself a bonfire, though it would be a small bonfire. But you could do it. 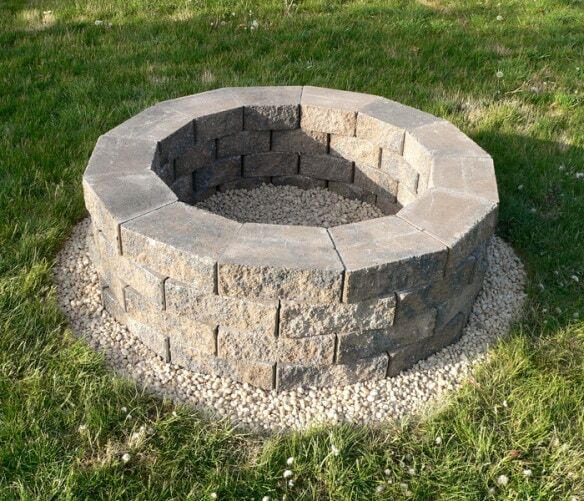 This fire pit is simple, but looks great because of the way it complements the stonework around it. There’s a lot going on here, but it also looks simple, comforting and we like that you can see a lot of the fire itself because of the low walls. This baby looks great, and the bloggers over at bower power blog really put a lot of detail into their process here. This fire pit not only looks spectacular, but there’s a lot under the surface to make sure it’s safe, functional and long-lasting. Check these guys out ASAP. The recessed look is not for everyone, but we love the way it looks with this stone and grass-surrounded area. 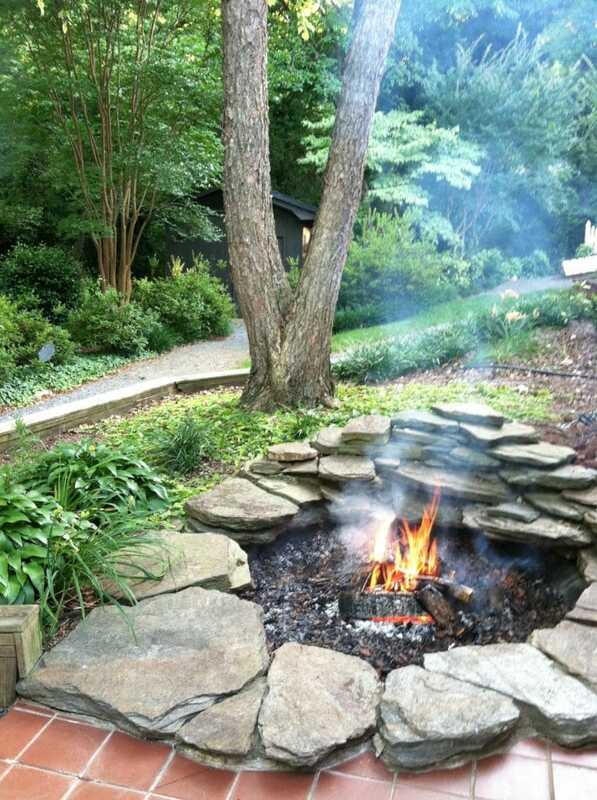 If you like keeping the flames low and the yard/fire pit one level, this is the way to do it. This modern look reminds us of the Olympics or other things where there is fire. The concrete and the rocks look awesome against the bright flame, and this thing isn’t nearly as hard as you’d think it is to make. 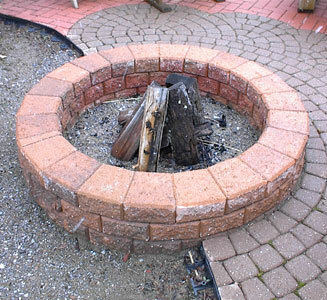 The good folks over at Sunnydaze make it easier than ever to build your own fire pit with their DIY fire pit rim. Use it by itself, or surround it with cinder blocks like they did in the projects above. Or, bury it down so that the rim is flush with the ground. 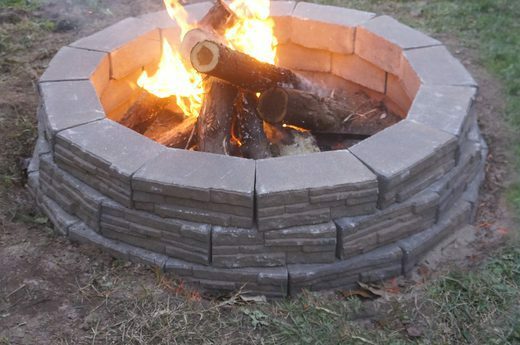 With lots of options, the DIY fire pit rim is one of the easiest ways to get your fire pit done and ready for good times. 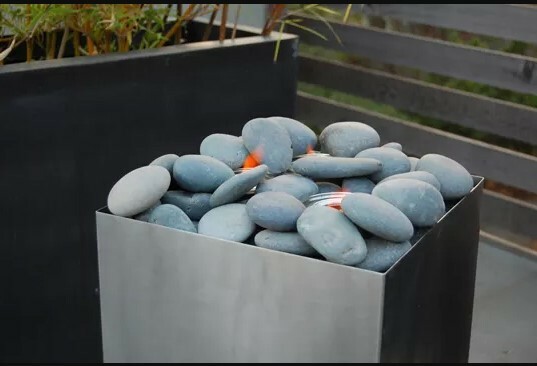 This metal fire pit is neat because it’s simple, and the inside of the pit will eventually change color and hue with so many fires going on. It’s a cool look that matches the rest of the yard here – lots of squares and angles. 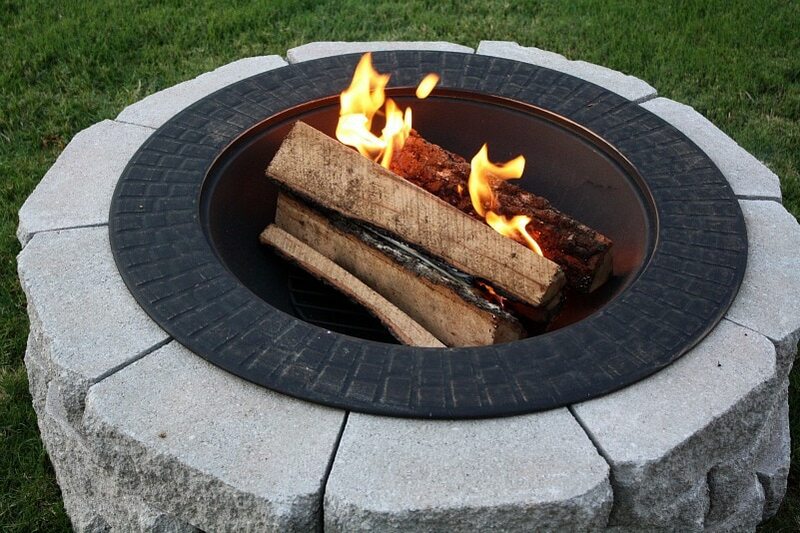 This rectangular fire pit is heavy duty and can withstand up to three times the heat of your basic fire pit. 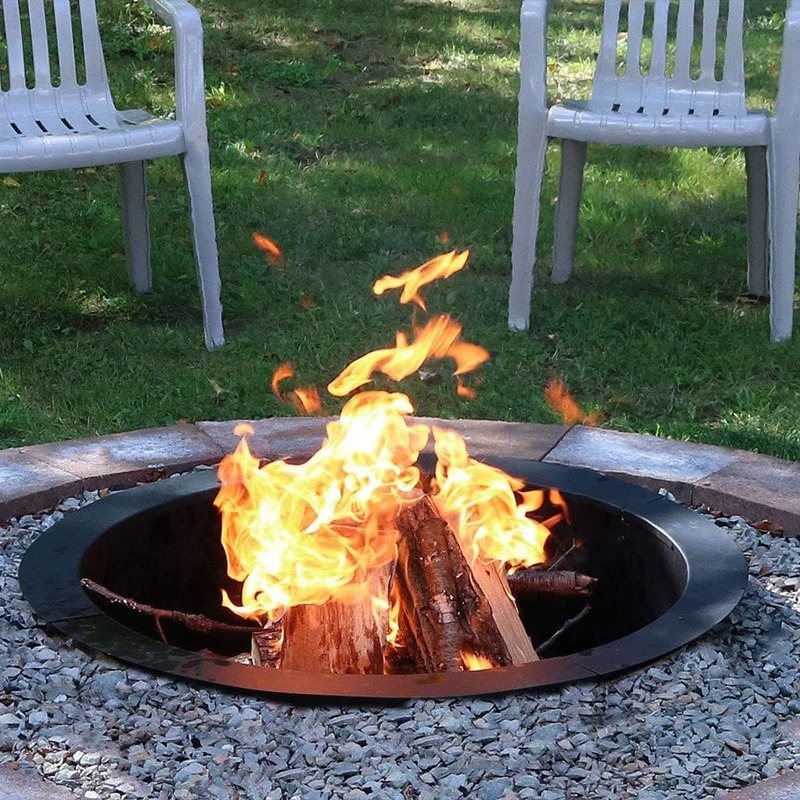 That stat is made up, but what’s not made up is that this fire pit will probably last a lot longer than most of the things you make around the house. But that all depends on you. Growing up, our family had something like this and I now think of all the times we shared around the fire in the fall and winter. 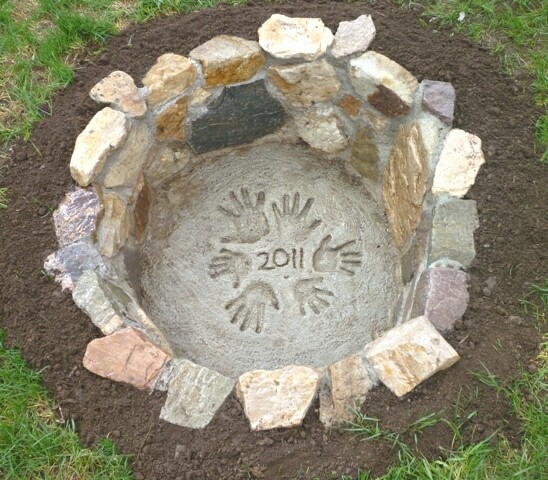 You can make memories with your own family (I’ll keep mine, thank you much) by doing a similar fire pit. This one is also great for small spaces because it keeps the fire up high off the ground and close to you and your loved (or liked) ones. 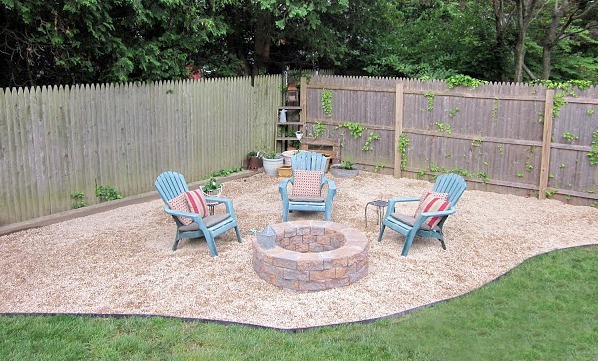 This one, like the first fire pit we mentioned, is great because of the setting around it. This just begs to be the place where serious or not-so-serious conversations happen. We also love the red barn in the background, but that’s neither here nor there. 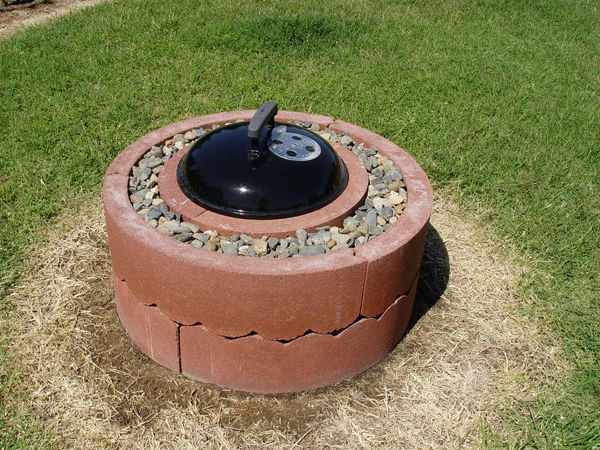 This is a good example of what to put inside your fire pit so that the fire doesn’t accidentally catch on the area that you put your pit to begin with. 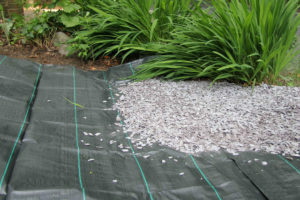 Many people build these on grass lawns, so it’s important to lay down some rock or sand that will keep the fire contained and separated from other flammable material. Where that fire is would normally be a little koi fish or two, but here it’s a fire, and we love it. The stone backdrop makes a great scene behind the flame, and you could easily put seating around this setup to make it nice for everyone to enjoy. 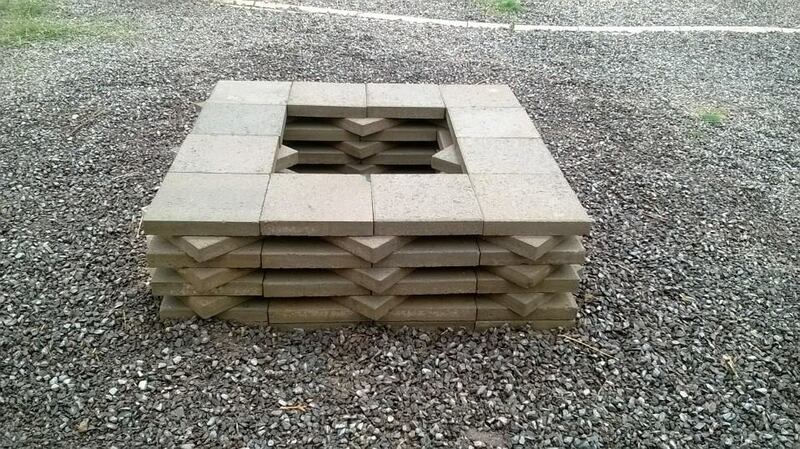 This DIY fire pit is cool because of the angles, but it probably also holds a damn good fire, if we were to guess. 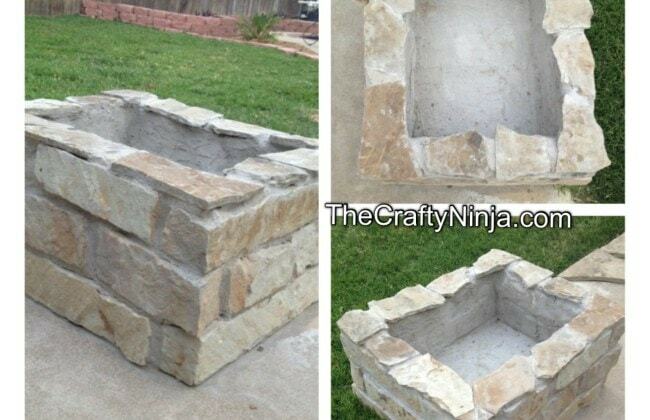 Check out how this fire pit was made with the link to slapdash mom above. You might think to yourself, this looks like the sort of scene that you might see in Better Homes and Gardens. Well, you’re right. But you can make this your own, too, by taking a similar approach. We love the glass and enjoy the colorful accent it adds to the stone surrounding. Look, we’re going to level with you. 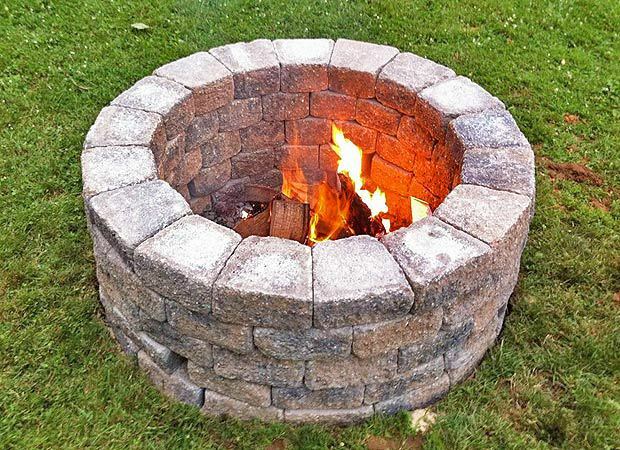 This fire pit may not seem fancy, but that’s because the simplest things in life hide their complicated nature behind their exteriors. 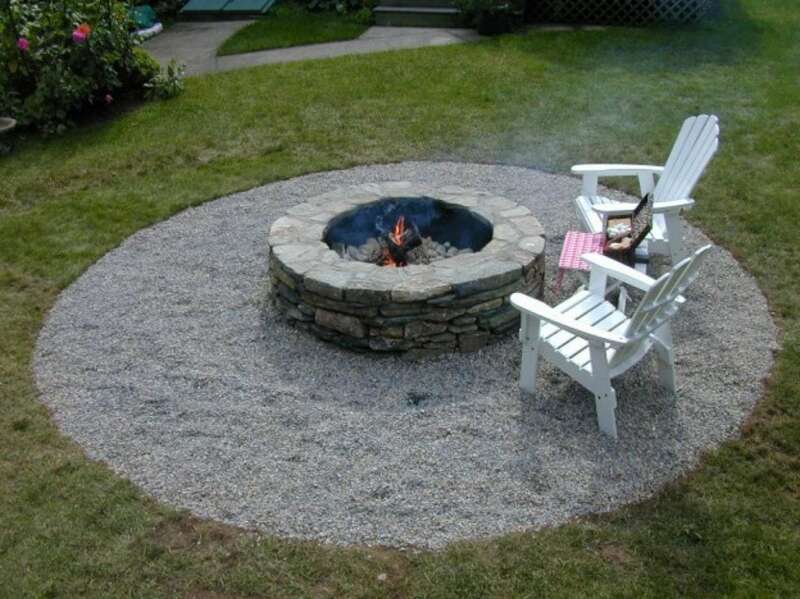 We don’t know if we’re talking about fire pits anymore, but in any case we like this setup, though we’d also like to see the seating be a little closer. That’s just us, and we’re not sorry for it. This idea is cute, but there’s also something unsettling to us about starting a fire on top of something that commemorates your children or family. Still a cute idea, and we love the fire pit itself, but we’ll probably just write the words to a Whitman poem on the bottom instead. That’s about it: we love it. If we’re judging DIY fire pits based on aesthetics alone, I’m not sure this one would score too highly. But it is practical, inventive and a little gnarly, so we’re gonna go with it. This seems like the type of place you get together with friends and family and think of recipes or maybe patterns and backgrounds for scrapbook pages. We love it. Sometimes you just want to build a fire pit the way you would when you’re out camping and backpacking. That’s why we love this one: it gets the job done, but without all the fancy alignment and perfection and all that. 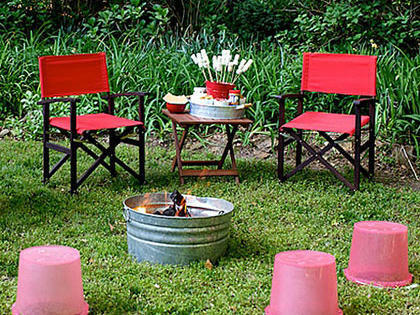 It looks great and brings the campfire to your home quickly and easily. This reminds us of The Walking Dead for some reason, and that’s probably a compliment. Really, though, this is a simple way to get a great big fire area without a lot of maneuvering. You can also dye or paint the concrete blocks to match your backyard or personal color preferences. We love the look of these big boulders paired with the small black rocks in the middle of the fire pit. It’s a great look if you have boulders around your home, or want to have them shipped in from a special boulder boutique. This isn’t really flower-shaped but we’re imaginative and wanted to think of something to put there instead of just keywords. 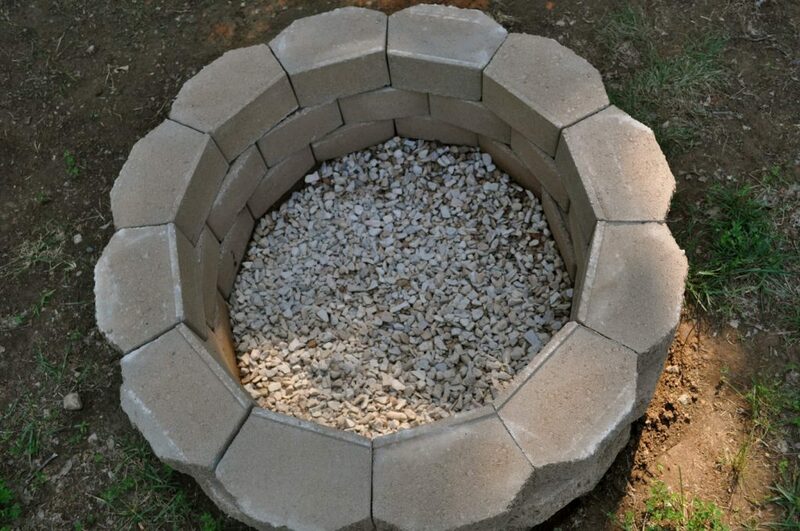 This fire pit is cool because of the funky stone shape, but it works: the flat part toward the center keeps the fire contained, while the outside looks cool and textured. Win-win. Sometimes you just want a bucket of fire. If that’s your thing, God speed and thanks for keeping things simple. 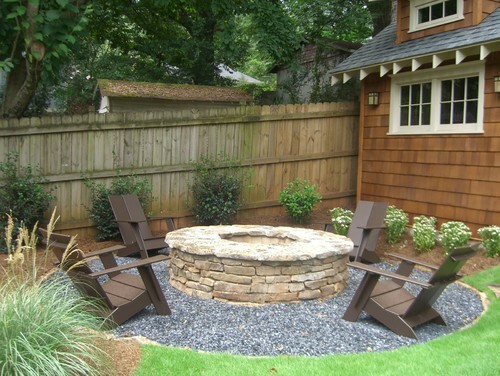 With these ideas, hopefully you can find a style or approach that fits your backyard’s vibes. If not, you can always come up with your own! 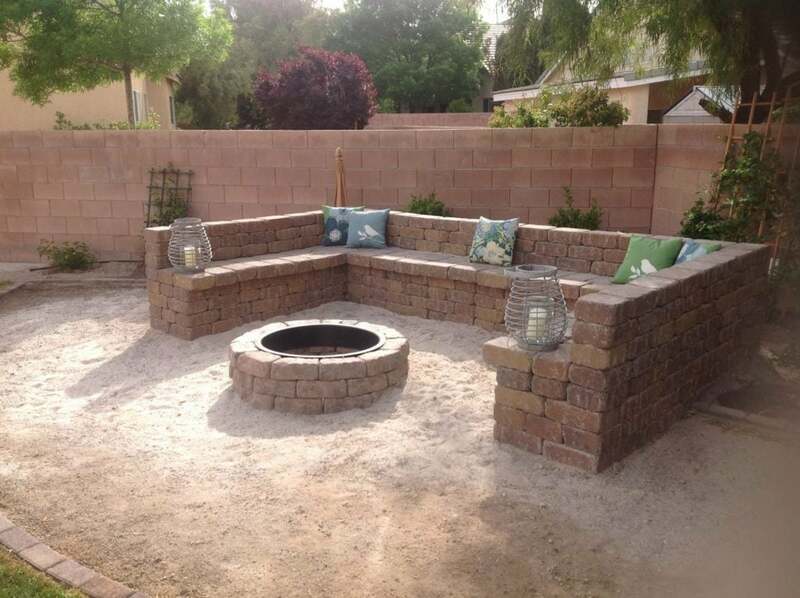 The important thing to remember is that these fire pits should be able to fully contain the fire – and elements that come with it, ash, embers and such – on all sides, including the bottom. 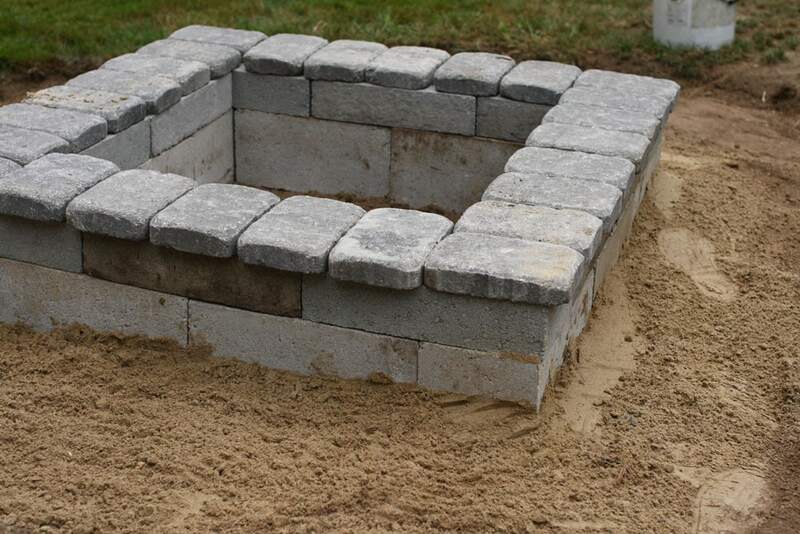 There should also be plenty of room for air and water to come out, which will keep your fire pit working well over the years.